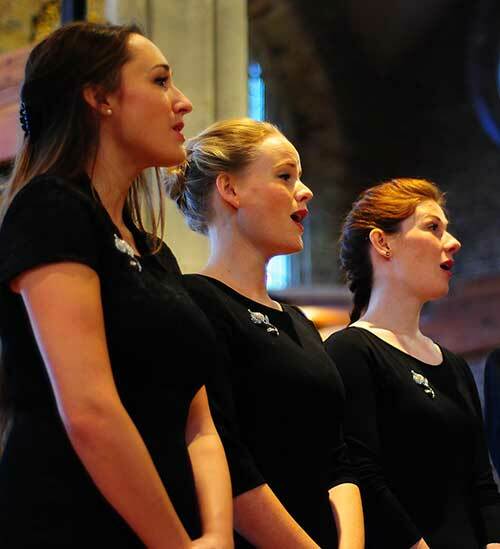 An innovative agency is offering a bespoke funeral singing service to help create a personalised celebration of life. ...“I had been asked to sing at weddings and funerals many times for family and friends back home in Lincolnshire, and had thought about setting up an agency,” says Penelope. “The wedding industry is very overcrowded but no-one is catering for funerals in the same way. The agency has already fulfilled a diverse range of requests. “We enjoy the traditional songs too but we love the variety,” says Penelope. “If they want an Ella Fitzgerald number, we use a professional jazz singer. If they want Schubert’s Ave Maria, we send one of our classical graduates from the Royal Academy of Music. They’re not limited to soloists: If the client wants a choir, the agency picks voices that complement each other and can be flexible about the size. Briony and Penelope work through funeral directors or directly with clients, but they always like to talk to the clients to get the full idea of what they want for their service. “The best moments are when we start singing and suddenly we see this wave of something passing over the family and congregation,” says Penelope. For more information, call: 07391 248081, visit www.londonfuneralsingers.co.uk or email info@londonfuneralsingers.